Joel Salatin’s said it. Michael Pollan has probably said it. Countless bloggers, locavores, and whole foods enthusiasts have said it. 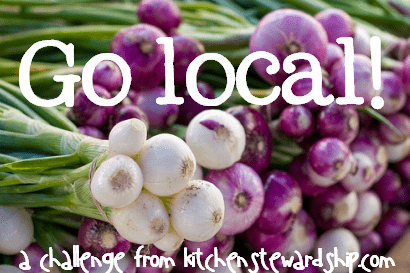 Are you taking the Go Local! Challenge? 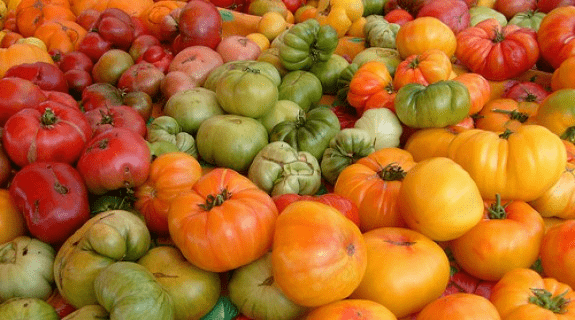 Check out the Monday Mission on Farmer’s Markets this week. 1. What do the animals eat? 2. Where do the animals live? 3. Do you use any meds or hormones? 4. How do you fertilize? 5. How do you manage pests and disease? 6. How was the growing season last year/this year? 7. How did you get into farming? 8. What crops are coming up next, seasonally? Are they growing on schedule? Any complications? 9. How do I store X unfamiliar food that I’m purchasing from you? 10. What’s your favorite way to prepare X (perhaps the same unfamiliar food from question 9)? If you really want to give your best effort at getting to know your farmer, take Trina‘s advice: If you’ve purchased before and enjoyed, offer a compliment and share how you prepared the dish. You can ask similar questions in restaurants and retails stores (butcher shops are one good example). Tomorrow within my local resources page, you’ll get to see actual conversation I have had with farmers and resellers, just to inspire you to be able to do so yourself. Where was the fish raised and how was it caught? (Find correct answers at Seafood Watch and download the regional pocket guide.) For salmon, a very common restaurant fare, wrong answers include Atlantic, farmed, and corn-fed. Good answers – THE good answer – is wild Alaskan salmon. Line-caught is best, but probably not necessary once you’re in Alaska. Line-caught somewhere else greatly increases the fish’s chances of being wild outside the fish farm. Does the feed include corn and soy? If yes, are they genetically modified? compromise for 100% grassfed, but be sure to ask about the corn and GMOs. *Dropping the names Joel Salatin or Michael Pollan is generally a good sign! Can you figure out the right answer to this one? For more “good answers” and terms to understand, read about eggs and milk. product without the extra cost. *I like to look for farmers willing to talk with me about their growing practices. If a grower or seller seems to brush me off and treats me like the kid who asked too many questions, they probably treat their vegetables with the same amount of care and research, which isn’t enough for me. Farmers taking the time and effort to research sustainable methods will generally want to share that with you. If you’re making an attempt at getting to know your farmer and your food, you’re bound to learn something and find produce you want to buy! What do you like to ask your farmer? What answers are you looking for? If you’ve missed the rest of the organic gardening series from Rene of Budget Saving Mom, click here to catch up. Photos by Marc Smith and Jill Clardy. Also entered in Pennywise Platter Thursday and Fight Back Friday. Awesome information, Katie! I love going to local Farmer’s Markets but have been a little unsure how to get the information I was looking for (and what the “correct” answers would be!). I will feel much more confident this weekend. Thanks! I swear I’m not being snarky here! >3. Do you use any meds or hormones? >Can you figure out the right answer to this one? So what should a farmer do when an animal gets sick? Even in the best of conditions, I think it probably happens occasionally. .-= Lenetta @ Nettacow´s last blog ..Weekly Link Roundup – AGAIN Edition =-. My husband and I raise 100% Grass Finished beef in central Virginia. We follow the “Treat ’em and Truck ’em” protocol. If an animal gets sick and needs antibiotics, it gets treated, held the required withdrawal period (that’s the legally prescribed time it takes for the medicine to work through the animals system – usually a month or so – depending on the treatment) and sent into a commercial meat program. Once an animal is sick, it can’t meet our production requirements or our customers requirements. We always refer to these animals as “Someone else’s opportunity. But if an animal has been sick recently it shouldn’t be eaten soon. Animal sick last year is different than animal sick last month. I could be wrong, but I don’t think my parents have ever used meds on their cattle. Things like prolapsed uterus or birth gone wrong, but if a cow even has a broken bone it becomes dog food. The cows are pretty hardy – they are out in the open even in the mountain winter. I’ve heard of some farmers using ‘alternative’ meds with animals. I guess that’s the great thing about being able to have a conversation with a farmer instead of a plastic milk jug. The farmer can explain, “IF the cow gets sick, we…and then we pull the milk until she’s better.” At our farm, they’ve only had one case of mastitis in YEARS, and they treated her naturally, I believe, w/o antibiotics, much like I’d try to treat my kids’ ear infections unless they get too bad. They of course, pulled her milk. today i asked my favorite egg source at my local farmer’s market if the chickens get any access to grass, because i am under the impression that this has an effect on omega-3’s. the answer was no 🙁 but they do get to scratch and get bugs from the dirt. but i wonder how many bugs will be in the dirt if there is no grass. i hope this means they are still better than store bought! sigh… i guess this means i should start looking around for another egg source. however, i am wondering if it is possible to find chickens with access to grass as i live in southern california, which is pretty much just desert. .-= sarah´s last blog ..wedding reception food and drink ideas part 5 =-. Great post, thanks! I often get the “you have to spray” when I asked about fruit. I have found a few fruit farmers who don’t spray but they are few and far between! .-= kara´s last blog ..Dandelion Fritters =-. Thank you! Some of us introverts just need a good set of talking points to get started! .-= thatgirl´s last blog ..A Month of Pastured Chickens =-. Really helpful post! I get so nervous asking questions but I’m trying to push myself to do it. The more I practice, the more confident I get…What you have written here also helps too. I had a negative experience after working up the courage to ask my fishmonger questions, but I’ll keep trying! .-= sarah @ syrupandhoney´s last blog ..Breakfast Pizza with Kimchi- Bacon- and Egg =-. Thanks for this post! I took my family to visit a farm last weekend, as they have free range pork and chicken, and I wanted to see how the farm looked, and it was fantastic! We found the farm on localharvest.org. We ended up spending the whole day there, where my 6 year old got to help with the cows, feed the pigs and chickens, and eat raspberries straight from the bush. They served us a delicious lunch of ham that they had raised and butchered themselves. I am so happy we went to visit, as I now know that they love their animals and that they treat them very well. Happy pigs make delicious ham! I would encourage anyone to visit a local farm, and see what they do, it will be so worth it! .-= Lacie´s last blog ..I’ve got a garden- =-. 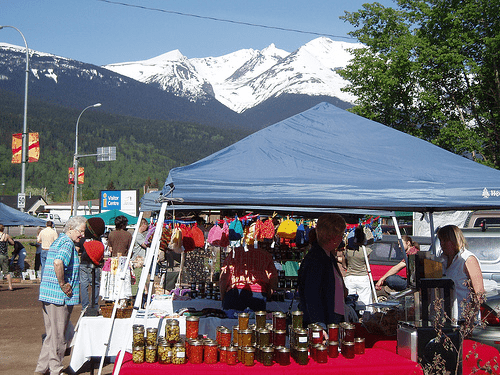 We have lots of vendors at our “farmer’s” market who are not farmers…they get their produce from the same place the grocery stores do. My first question is: who grew this? .-= Sara´s last blog ..On a Rainy June Afternoon =-. Thanks for the wonderful write up on UFO. I didn’t know I was answering the questions right. I was just excited that someone was on the same page as me and seem to speak my language of how food should be produced, with passion. Because if you have passion that means you care and want to produce the best product you can to share with others. This farmer doesn’t do this to get rich but to have the satisfaction of sharing what I get the privilege of eating everyday with other people.